I’d spent an afternoon in PV pulling my hair out, trying to work out how much time I actually had left in Central America, where I wanted to go, what I wanted to see and do, and whether it was at all possible. After the two day delay it was becoming apparent it really wasn’t possible to do everything I wanted, I was going to have to compromise, and I was going to have to move quickly. After a night in a non-remarkable hostel in San Jose I was to head north to Monteverde, a town surrounded by cloud forests. The views as the road wound round the hills were beautiful. For some reason it reminded me of the drive between Luang Prabang and Vang Vieng in Laos, a long time ago. When I arrived I had to decide how to fill the short time I had there. 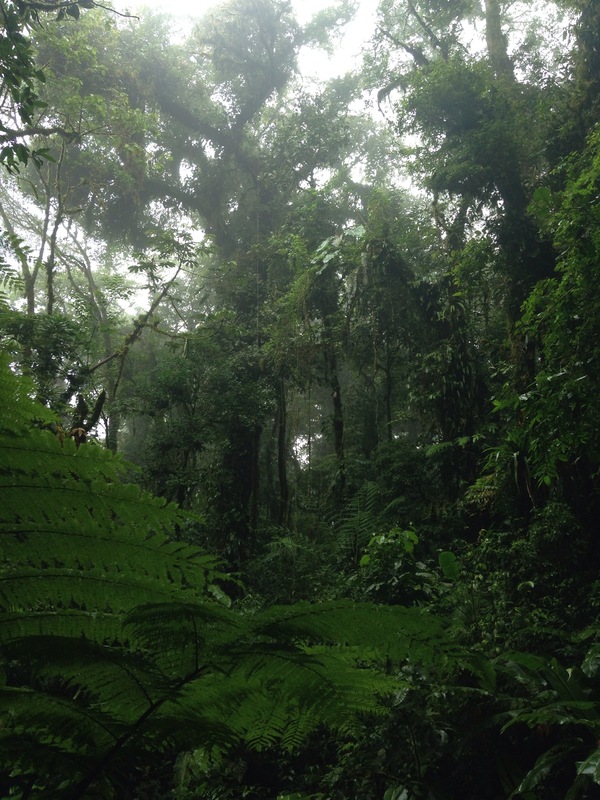 There are two national parks near Monteverde, Monteverde Cloud Forest and Santa Elena National Park. The latter receives about a tenth of the annual visitors as it is slightly smaller, and less known. The second quality made my decision to visit Santa Elena, and this being Costa Rica I ended up going with a couple of Americans, Kiah and Tim. The park so peaceful and we walked all afternoon without seeing anyone else. It was even quieter than Brownsberg in Suriname. 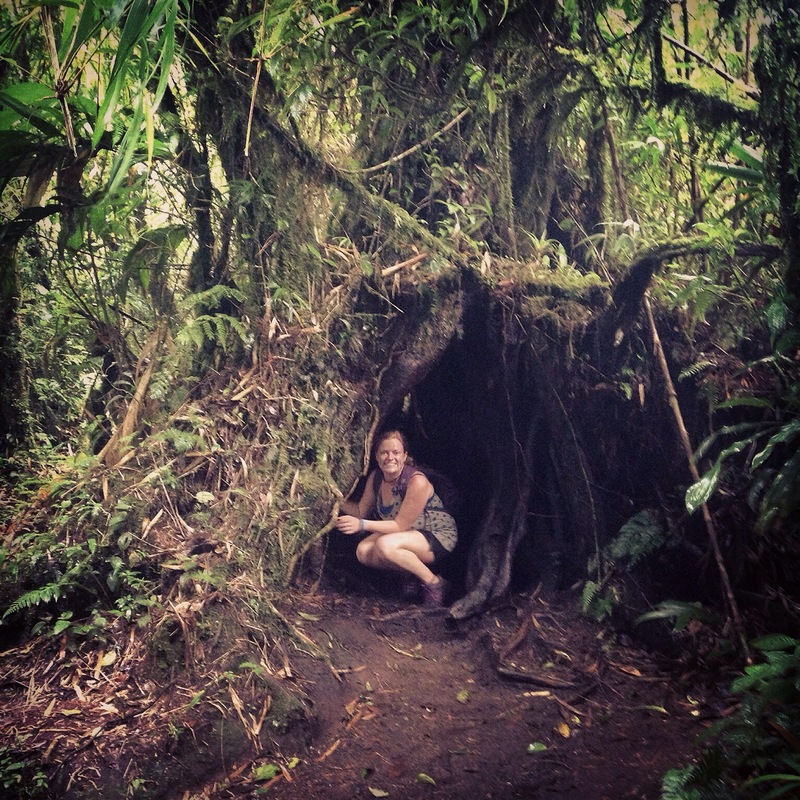 Unfortunately, we also didn’t see any sloths, but then without a guide they are hard to spot. They move so slowly amongst the canopy that a trained eye is really necessary. We climbed the lookout in the hope of looking above the treeline, however as it’s name would suggest, the cloud had descended over the forest and we could see nothing. 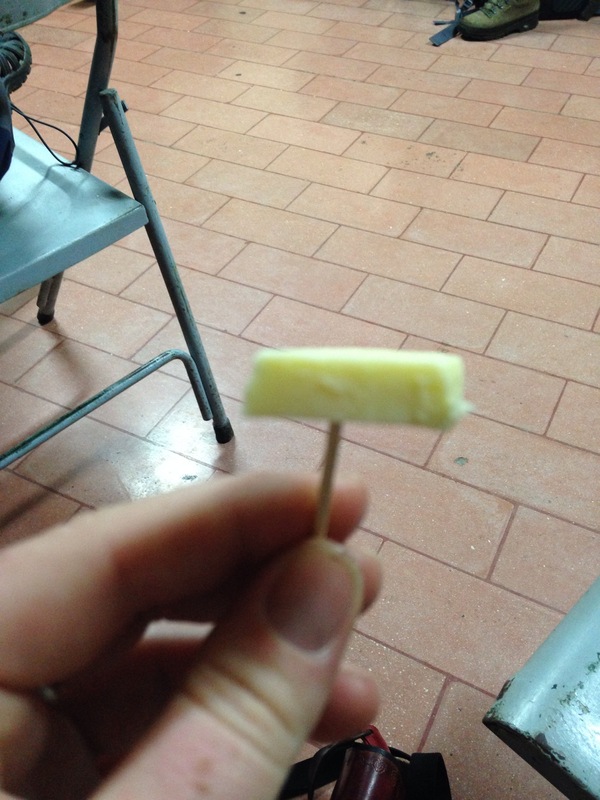 I have to say that throughout the trip cheese hasn’t been anywhere’s strong point. This was an exception. It was started by 11 quaker families who left Alabamba in 1950 to avoid the draft, Costa Rica was the perfect place having abolished their army in two years earlier. Until last year it was run as a co-operative still, however it has now been taken over by a large Mexican company. They even use the waste to feed pigs at local farms, ensuring everything is free range. After learning about the unique history we were able to test the cheeses, my highlight of course, and then sample other dairy items like ice-cream in the shop. 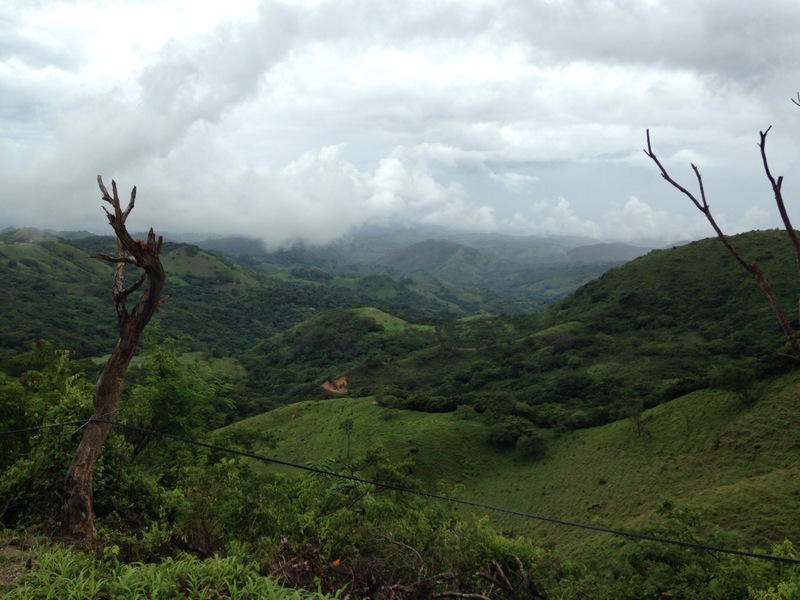 I’d seen Monteverde cheeses all over Central America, so it was interesting to see where it was made. The journey back to San Jose was pretty horrendous. I found my seat next to a large gentleman, who took up half of my seat as well. Coupled with the winding road I was in danger of becoming Flat Stanley at every turn. Behind me was a child who insisted on kicking my chair and we were delayed by road works on a bend for a long time. The journey’s one redeeming feature was that I saw the most incredible sunset ever. The whole sky was an array of colours that gradually progressed. No picture would ever do it justice. I chose a different hostel in SJ this time, one run by the guy responsible for all the drinking in Puerto Viaje. I ended up sat around all night with the people who worked there, chatting and watching football highlights. In fact it eventually got to the point when there was no point in going to bed as I had to leave before 4am for my bus north. And getting north and into Nicuragua was going to be another ‘fun’ experience to add to the list.